The next meeting of the Ulysses Reading Group is on Sunday the 13th of January 2013 at 7.30pm in Muir Court. We hope to complete our reading of the Circe episode from the line: Twice loudly a pandybat cracks, the coffin of the pianola flies open, the bald little round jack-in-the-box head of Father Dolan springs up. 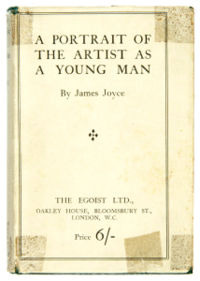 Father Dolan and his pandybat have not appeared so far in Ulysses but they do figure prominently in “A Portrait of the Artist”.